The One Academy is a MQA-accredited college with MSC-status, carrying formal affiliations with reputable design universities and colleges worldwide. The One Academy's 'Masters Train Masters' teaching philosophy that provides 'Just World Class Results' has enabled students to experience heightened evolution in concept development and creativity. The Government of China through the Chinese Embassy in Malaysia has recognised The One Academy as a tertiary institution that has registered with the Ministry of Education, Malaysia, and is an independent legal entity with healthy credit standing, thus fulfilling the criteria to recruit students from China. 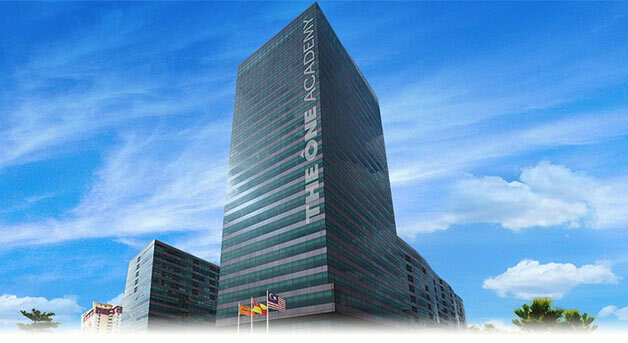 It has also acknowledged that the courses taught in The One Academy, as well as Diplomas and Degrees conferred are fully accredited by the Malaysian Qualifications Agency (MQA), an agency under the Ministry of Education, Malaysia. The One Academy is all about career & result oriented with students’ award-winning works & graduates’ career success on local and international level while reflecting the academy’s true ability in delivering the real outcome YOUR achievement! The One Academy is recognised by the professional industries and is highly recommended by big industry players! Today, our students have joined renowned international & local companies to serve the creative art & design industries with their professional skills. The One Academy leads by working closely with international universities with formal affiliations to ensure a promising future of international quality. In order to maintain the rising creative & digital industry, The One Academy continues to host international masterclasses & talk series, bringing students and local animators together to meet with the world’s best in each field: To be the best, you need to learn from the masters. When it comes to providing an international quality education, The One Academy believes that a recommended location should come with good infrastructure, wide amenities & conveniences and a reference hub strategically surrounded by a balance of tranquillity and thriving creativity.